We are starting the first week of BM#61. I decided to do the theme 3 drinks from one ingredients. The inspiration for this theme came about when I was going through some site that had pretty pictures and the drinks simply came live! I know I find it pretty hard to click drinks. simply maybe because I don’t find enough time to stand still to plan well. And hot drinks become even more tough. So I was feeling what to do when I have to plan for a setup for these drinks, then I realized I was yet to make the drinks. This happened over the weekend, when Hubby dear was travelling. The entire Sunday was spent planning on cooking for the blog. After a long period of inactive, zombie existence, I got back my mojo in cooking for the blog. I wasn’t about to give up without clicking atleast a dozen of them. I managed quite a few and very happy with my own creativity in imagining these drinks. Upfront I warned Konda that she will have to test few drinks for me. Of course when this theme came to mind, I did start with just Chocolate! I added other ingredients as I didn’t want my group to come over and throttle me! Since I have a handful of chocolate obsessed kids, doesn’t mean the universe revolves around it. Still since mine does, I only checked out options for the same. So the day drawn and I was still thinking about it. I said I was going to make Hot chocolate. Konda was having a funny look and asked if I haven’t alread done. 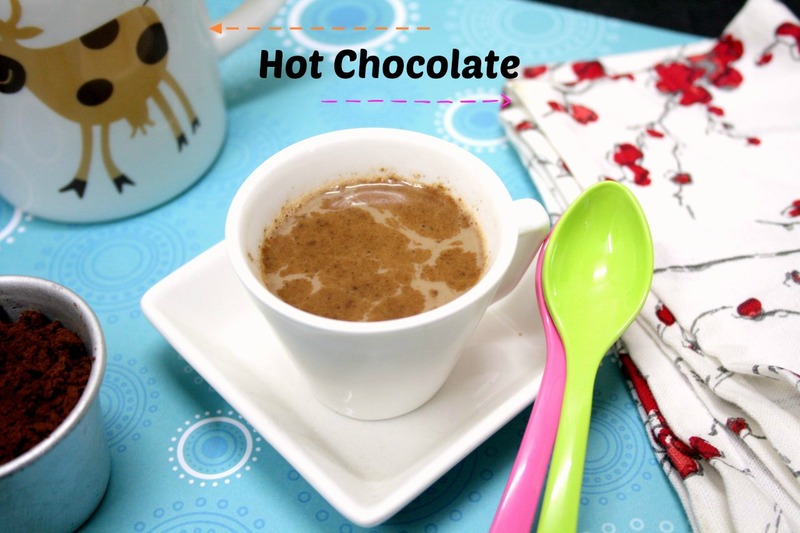 I said I seem to have done a Chocolate Caliente from Spain and a West African Hot Chocolate from Ghana, yet the basic Hot chocolate was not done, in essence for the blog! We that’s high we rectified the oversight. Of course I didn’t thinking it was too simple a recipe to share. Still when time demands, we got to compile right. Coming to cooking for the blog, as I said I haven’t cooked much for the blog and that means kids didn’t get to eat lot of different dishes. Konda was mentioning about the period when I used to make so many chats and why I wasn’t making any! I said I have cooked as many chats as I knew and its already on the blog. She frowned and said, I am asking for myself and not the blog! Well I didn’t say what I wanted to say, ‘Baby, I don’t have the energy to cook the same dish again, when its already on the blog! I said instead that I will plan some new chats soon. Well anything for the kids right. 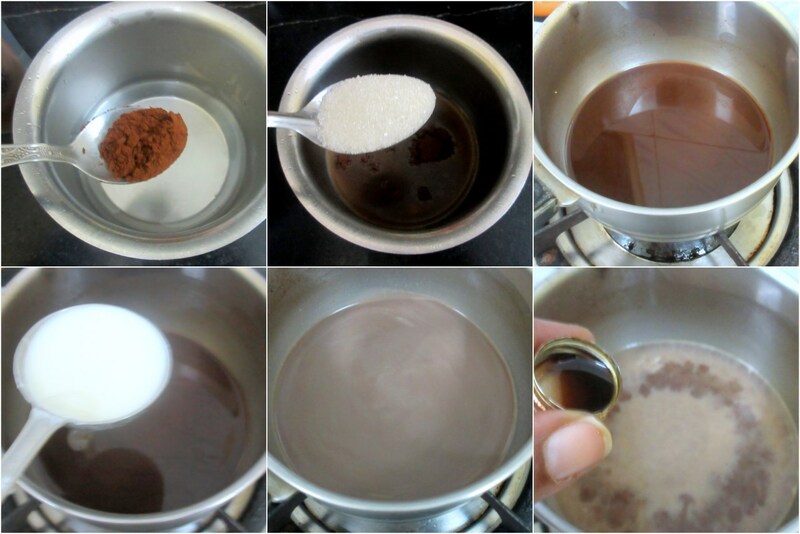 Bring the water to boil, simmer and add the cocoa powder, blend well. Add sugar and stir to mix well and add the milk. Combine everything and finally add the essance. Drizzle few drops of cocoa powder on top if required. Once the water is boiled, cook this in low heat and never boil. Our kids are spoiled because of us blogging, but on the other hand they are exposed to many different cuisines and food. Hot chocolate in winter is something we all look forward to especially on a day when we shovel a lot of snow. Lovely presentation and pictures. Hot chocolate sounds so good right now. Good you got back your mojo but seriously why do bloggers never want to repeat ! Its a universal story , btw the hot chocolate looks cool with that set up . I would love to have a cup of hot chocolate now .It is still cold here.They do ask the same question if I repeat any dish .Glad you got your charm back. This is very nice, I am going to try this one day instead of coffee. For change its very nice. The universe revolves around chocolate, you are absolutely right about that! Share of your mojo with me. It has been over two weeks I got back from my India trip still haven't gotten in the mood to cook for the blog. Sometimes we are so strange. Towards the end of my trip I was missing the blog, cooking and clicking for the blog. Now that I am back I have done only two recipes for the blog so far. One is today's post and the other is for tomorrow. Anyway, coming to chocolate drink, I am with your kids and any number of chocolate drinks and chocolate recipes won't bore me. ???? This happens in our house too Valli. I never cook a dish which is in the blog and my family is not very happy with that. 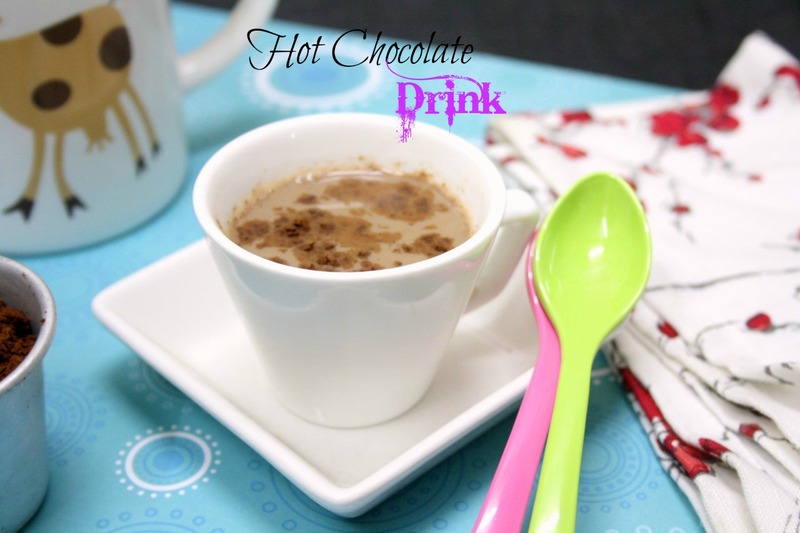 This hot chocolate looks so yum. I have to try this for my daughter. Just love this aromatic chocolate rite now, weather is too chilled here to enjoy this spiced chocolate. Good one, Valli. 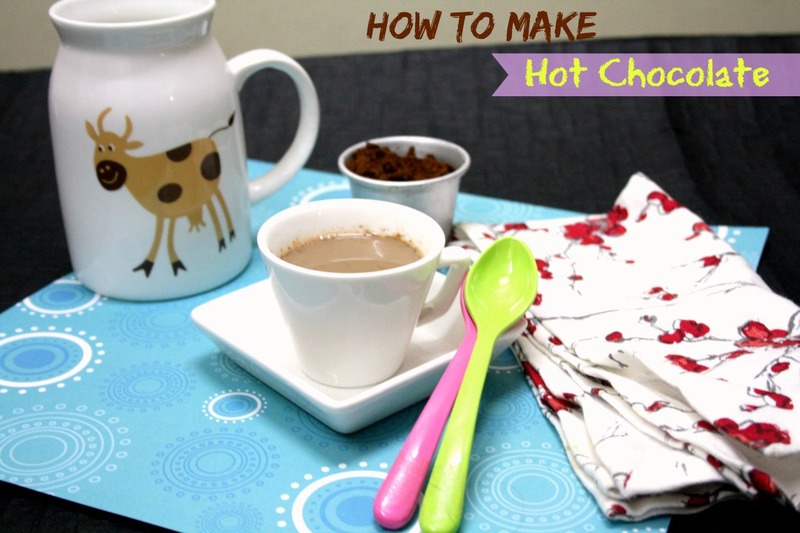 My older one makes different variations of hot chocolate trying to improve her 'chocolate palate', so to say and I have pictures of her versions somewhere in my folder :). I should post at least one version of hers!